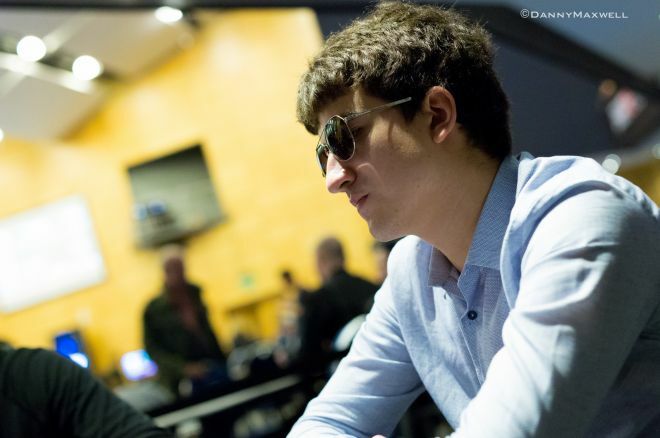 Last week saw Dzmitry Urbanovich (pictured above) make a sudden rise to the top of the leaderboard in the 2015 Global Poker Index Player of the Year race after having won three different side events during the recent European Poker Tour Malta series while final tabling two more. In fact, Urbanovich would manage to claim an EPT record fourth tournament win before the series ended, taking down a €220 buy-in Crazy Pineapple Turbo event that earned him just a few more POY points. Other results from Malta affected the POY race as well, including Connor Drinan moving up into second position after picking up four cashes total including a runner-up finish (to Urbanovich) in the €25,500 High Roller and another cash in the €10,300 High Roller. Nicholas Petrangelo final tabled both of those High Roller events as well to secure the No. 3 spot, while Ivan Luca’s runner-up finish to David Peters in the €10,300 HR helped him move up to No. 4. Steve O’Dwyer moved up to No. 10 this week on the strength of a couple of in-the-money finishes in Malta. And lurking just outside the top 10 is Stephen Chidwick who cashed three times during the series, including two final tables and one victory, thereby helping him move up from No. 45 to No. 12. Speaking of Chidwick, he nudged up a couple of spots from No. 7 to No. 5 this week in the overall GPI rankings as the top 10 players all remained the same from a week ago. Bryn Kenney also improved his position by one this week, while Ole Schemion continues to lead the rankings for a 15th-straight week. Byron Kaverman holds steady at No. 9 this week, although we should see him make a move upwards next week after having won two $25K High Roller events at the Aria Resort & Casino last weekend. Those events drew 34 and 16 entrants, respectively, meaning Kaverman will only earn GPI points for the first of them as the second comes in under the 21-entry minimum. Kaverman also finished fourth and second in two other Aria $25K High Rollers back in January. Sixteen players moved up into the GPI Top 300 this week, with 2013 World Series of Poker November Niner Marc-Etienne McLaughlin the highest-ranked of the group at No. 154 after having cashed both in the EPT Malta €5,300 Main Event and the €10,300 High Roller, finishing 10th in the latter. Dominik Panka returns to the Top 300 this week at No. 294 after his third-place finish in the EPT Malta Main Event won by Jean Montury. Montury also moves into the list on the strength of his win, one of four cashes — all final-table finishes — by the Frenchman in Malta. Currently ranked at No. 223, this week marks Montury’s debut inside the GPI Top 300. Finally, among players remaining inside the Top 300 Fadi Kamar fell the furthest, going from No. 166 to No. 216 this week, while Phil Hellmuth dropped from No. 164 to No. 197. Hellmuth has one points-earning tournament finish in 2015, a cash at the WSOP Circuit Horseshoe Baltimore Main Event earlier this month. Since the start of 2011, Hellmuth has ranked in the GPI Top 300 all but six weeks during the spring of 2014, with his highest career ranking being No. 4 in December 2012.